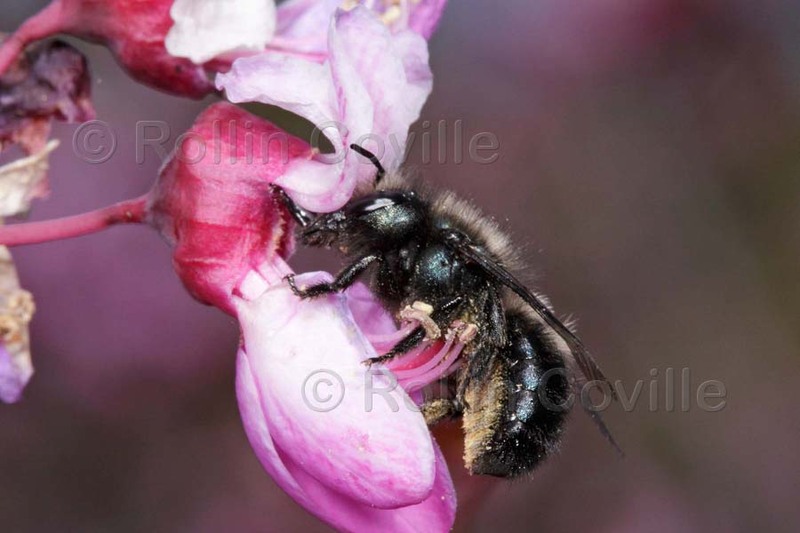 Mason bee visiting red bud. Try to imagine our modern world without apples, pears, citrus fruits, carrots, grapes, olives, tomatoes, and almonds. Then try to imagine our California wildlands devoid of beautiful spring wild flowers. We know you can’t imagine the world without chocolate so we won’t even ask. Most of our temperate vegetable, fruit, and nut crops, along with most of our wildland flowers, depend on the pollinating services of bees. The world’s star pollinators, bees, play an important, but sometimes invisible role in our everyday lives. And, their services in wildlands are free! 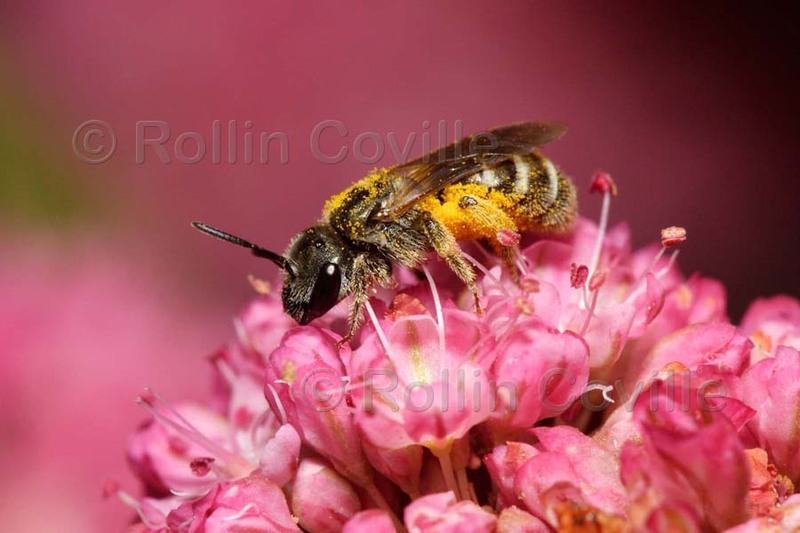 Sweat bee on red buckwheat. Bees depend on pollen and nectar for their reproduction and survival. They are specially equipped to collect these resources. As they buzz from one flower to another, pollen gets caught in specialized hairs and other special pollen-collecting body structures. Some of this pollen makes it back to the nest to feed bee babies (larvae) but some of it accidentally rubs off onto the reproductive parts of other flowers. If the flowers are of the same species, cross-pollination will likely occur. Nectar (or sugar water) fuels their foraging flight and also is added to nest cells to feed baby bees. Recent surveys (conducted in the early to mid 1990s) indicate that pollinators world-wide are declining. The cause for decline is habitat destruction brought about by human development. 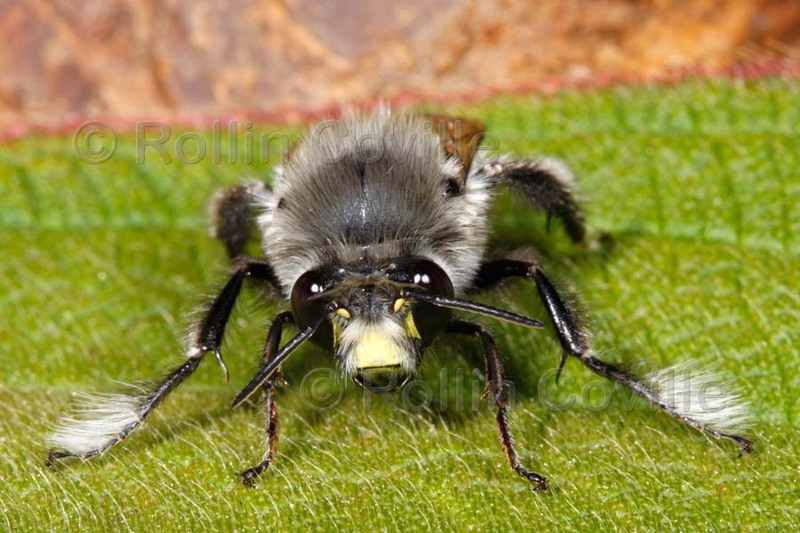 This was the subject of a recent book, “Forgotten Pollinators,” and has been a focal area for much new research aimed at how to conserve and protect existing pollinators, - especially bees. One of the outcomes of the downward trend of pollinators has been to awaken the scientific community to the need for extending information to the public and increasing general awareness of bees and other flower visitors to protect this valuable natural resource for the future. 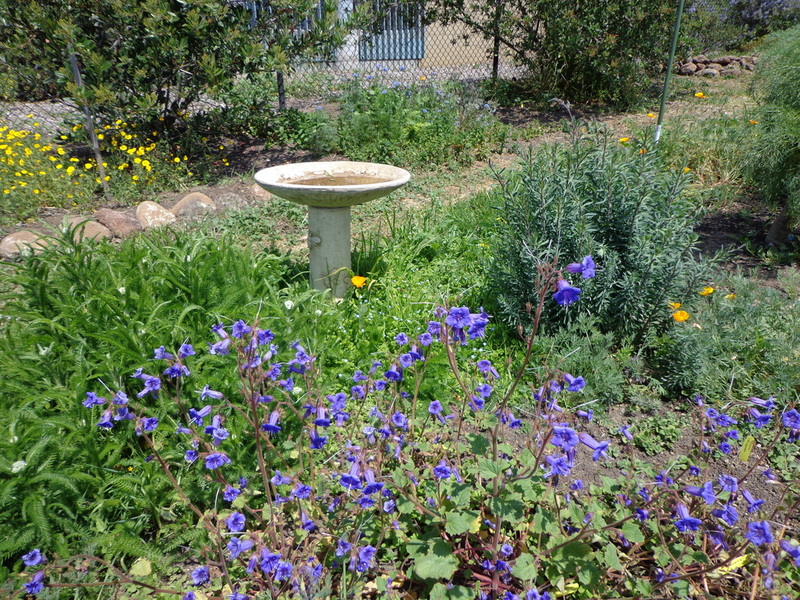 Plant a garden full of flowering plants to attract bees and other important pollinators. Don't use pesticides in your garden, they kill the good bugs too! Provide a space for nesting bees, with bee condos and bare patches of soil. Spread the word! Help educate your family, friends, and neighbors about the benefits of bees.